This unusual little Bornean pygmy elephant grew his tusks a bit different than the rest, but he's no less adorable because of it. 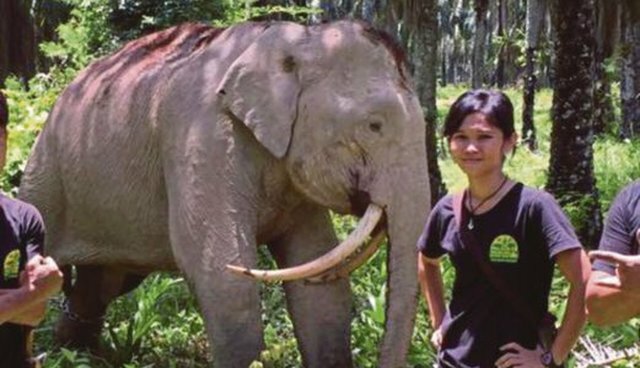 The so-called "saber-toothed" elephant was discovered recently by rangers from the Wildlife Department of Sabah's Rescue Unit while helping to translocate a wild herd in Felda Umas, Malaysia. "This is a rare find," he told the New Straights Times, "but all elephants are unique on its own." Bornean pygmy elephants are listed as an endangered species, primarily due to threats from habitat loss, but fortunately this special fella and his family are in good hands. 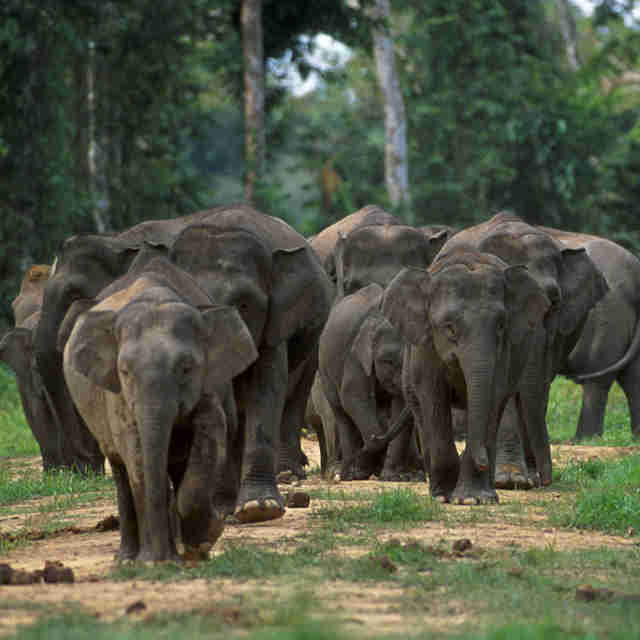 Soon, they'll be arriving at an undisclosed protected forest where they can live their lives in peace. Interestingly, while seeing a "saber-toothed" elephant may be something of an oddity today, it actually harkens back to an earlier time. A larger prehistoric relative of modern-day elephants, called Deinotherium, sported a similar appearance until dying out about 2.5 million years ago. 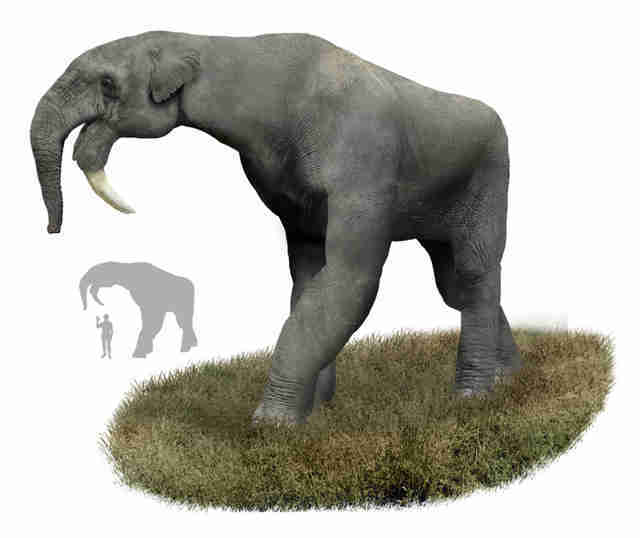 Based on this artistic recreation of how Deinotherium might have appeared, it's probably fair to say our cute little pygmy elephant pulls off the look much better.